Brian Head’s iconic slopes are home to some of the best snow in Utah. A magnet that draws in snowboarders and skiers from all over Utah, Nevada, Arizona, and California, Brian Head Resort offers runs for all skill levels – from beginner to highly advanced. 71 runs and 8 lifts on 650 acres of perfectly powdered snow, the resort stretches across two mountains. Test your skills and endurance on the Giant Steps run, or take your kids to Navajo to learn on gentle slopes perfect for children. For freestyle riders, Brian Head offers an assortment of rails, fun boxes, and pipes. This Alpine Climate from October-May makes Brian Head the perfect place to ride the slopes of this relaxed, family-friendly resort. 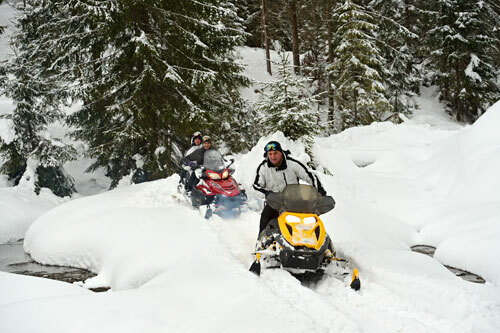 The winter playground of Brian Head is a perfect terrain for snowmobiling adventures. To satisfy adventurous winter cravings and explore Southern Utah’s beautiful winter scenery, join a guided snowmobile tour or traverse across the snow with an entourage of family or friends. There are trails for all skill levels, from beginner to advanced. Steep slopes, snow-covered meadows, and perfect trails make snowmobiling Brian Head a memorable activity that will keep you coming back for more. Rentals and tours are available in the town of Brian Head. 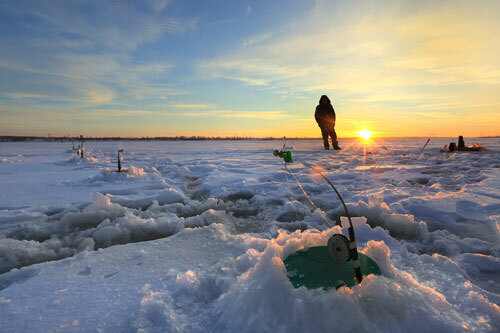 Winter shouldn’t stop the avid fisher from enjoying their favorite pastime. Brian Head’s new Bristlecone pond in the heart of town and is close to restaurants, hotels, and the ski resort. Ice fish in this winter wonderland year-round as it is constantly stocked with rainbow trout. Panguitch Lake is closeby Brian Head and is also great for ice fishing. Brian Head’s tubing slopes offers an activity for the entire family that is fun, easy, and fast. 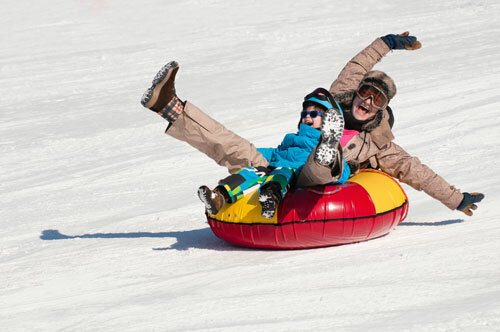 Take the kids tubing rather than sledding, as it’s easier, more fun, and you don’t have to trek back up the hill to get to the top. For those who love water parks in the summer, this winter counterpart is great to do while the weather is cold. Book tubing sessions in advance for individuals or groups.